Pahlaj Nihalani's Parting Gift : Saif Ali Khan’s ‘Kaalakaandi’ gets 73 cuts! Akshat Verma garnered a lot of attention when he wrote Abhinay Deo's 2009 black comedy Delhi Belly. The movie made quite a few heads turn and tongues click with its first of a kind excessive use of expletives, scattered throughout the urban comedy. But the film was lucky enough to pass the Central Board of Film Certification (CBFC) scanner back then with just an A certificate and minimal cuts. Now, however, Verma's directorial debut Kaalakaandi, starring Saif Ali Khan in the lead role, hasn't been so lucky. According to reports, as one of Nihalani’s parting blows, Kaalakaandi has been ordered a massive 73 cuts by the former CBFC Chairperson Pahal Nihalani, mainly due to the liberal use of expletives. A member of the CBFC has been quoted as stating, "Kaalakaandi makes Delhi Belly look like a Disney film. When Delhi Belly was released there were waves of shock and disbelief among the public at the torrent of profanities. But Kaalakaandi sets an all-new benchmark of expletives. We at the CBFC heard gaalis (expletives) that we had never heard of and never imagined existed. A film is a dictionary of dirty abuses. I am sure it will prove highly educational if the cuts are restored." Nevertheless, in the ongoing tussle, the makers of Kaalakaandi might get a sigh of relief as they are likely to appeal to the Revising Committee for reviewing the film again and hoping to get fewer cuts in the final version. As a result, the release date has also been moved from 8th September and the new date of release is yet to be announced. The same report has Nihalani commenting, "Since I am no longer there to censor films, the makers of Kaalaakandi can happily go to the Revising Committee and get all the cuts restored. They now have very liberal board members who I am sure would do justice to whatever comes to them." 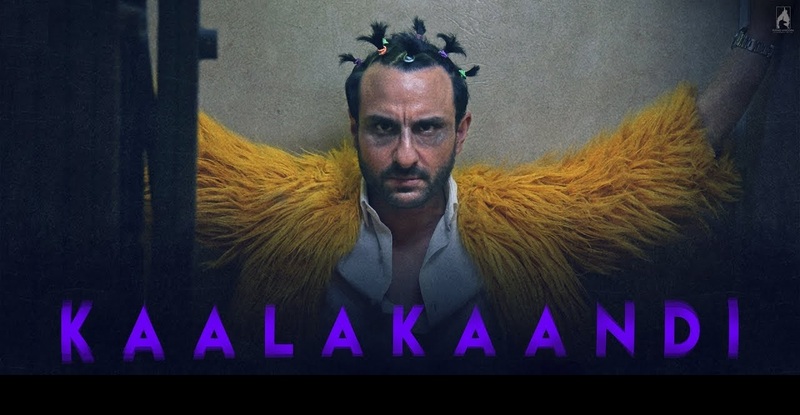 Kaalakaandi star cast also includes Akshay Oberoi, Shobhita Dhulipala, Kunaal Roy Kapur, Deepak Dobiyal and Vijay Raaz. It is produced by Rohit Khattar and Ashi Dua Sara's Cinestaan Film Company Pvt Ltd.